This year’s Science in the City festival is more exciting than ever before. 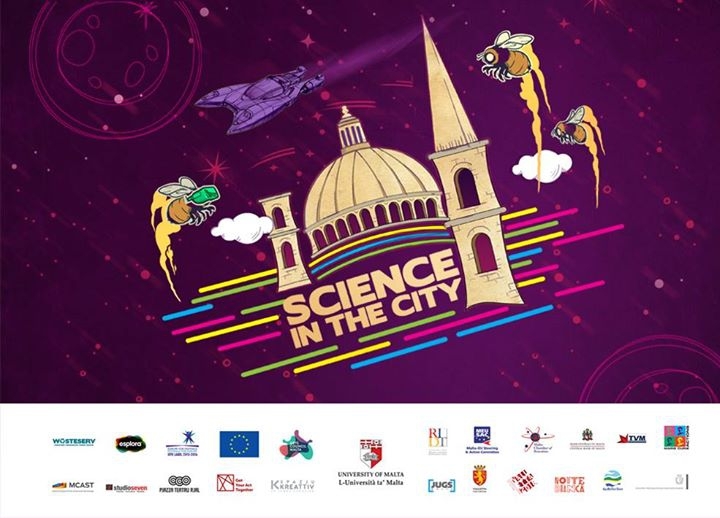 With a new layout and a host of innovative activities, the 6th edition of Science in the City—European Researchers’ Night, promises to be a night to remember. On Friday 29 September 2017 from 6.00pm until midnight science and the arts will transform Republic Street as visitors of all ages explore the highly interactive activities. This year's theme is the Future: Today's Research; Tomorrow's Society. Plans include the usual health and dental checks, child-friendly experiments, shows and games, as well as totally new activities that find their inspiration in ongoing research projects here in Malta, such as Light Pushes Stuff, AR Art, Holograms and so much more. A main attraction is Light Pushes Stuff, an interactive moving light sculpture—a Malta first! Scientists have found that light is capable of doing so. This could lead to endless new applications that would change the way we communicate, travel, etc. Meet the researcher and artists who have turned this exciting discovery into a unique light installation just off Freedom Square. Spazju Kreattiv will be hosting Kids Dig Science, an exhibition Transmission Interrupted by Martina Camilleri, an MCAST student, and Get Your Act Together (by More or Less Theatre with the support of Valletta 2018 - European Capital of Culture Foundation and Malta Arts Fund within Arts Council Malta). The Cinema Room will host a series of talks on the hour by Malta Cafe Scientifique, while CineXjenza, a series of short films, followed by discussion, will be shown by the steps leading to Spazju Kreattiv at the entrance to Valletta. Greenhouse Malta an NGO that takes the threat on the survival of bees very seriously, will be setting up a series of activities to highlight the huge importance this insect has on the future of our food supplies and plant life in general. Meet the researchers who have benefitted from EU funds to further their career, at the EU Corner outside the Malta-EU Steering & Action Committee (MEUSAC) building. Enter the building to find out about the EU’s space policy and go right up to the roof to join the Institute of Space Sciences and Astronomy - ISSA - University of Malta in the Kids in Orbit activity. The Science in the City festival-European Researcher’s Night is supported by the European Commission’s Research and Innovative Framework Programme, Horizon 2020 (H2020, 2014-2020) by Marie Skłodowska-Curie actions.